Portland Bolt doesn’t only sell fasteners for the typical construction industries; in fact, Portland Bolt just supplied fasteners for the new Ropes Adventure Playscape at Wonderwild. At Wonderwild, they strive to create an experience that is fun and unique for children in a variety of ages. 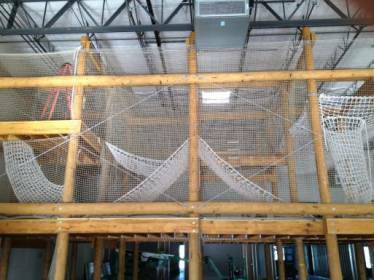 The Ropes Adventure Playscape allows kids to put their climbing abilities to the test in this safe, completely enclosed, 3-story ropes and obstacle course. 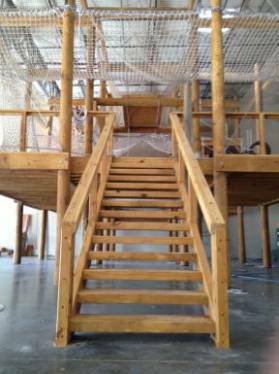 It comes complete with rope swings, a skywalk, a spider web, and much more! 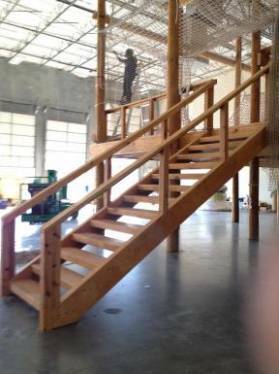 This is a place where big kids (and little kids too) can find adventure and excitement on a specialized indoor ropes course. In March of 2013, Portland Bolt was called upon to supply over 300 galvanized timber bolts of differing lengths for the new Ropes Adventure Playscape at Wonderwild. Due to our large inventory of 3/4″ galvanized timber bolts, Portland Bolt was able to ship the bolts, nuts and washers that very same day, meeting the contractor’s specific schedule. Timber bolts, also known as economy and dome head bolts, are used in wood and marine applications. Portland Bolt keeps a large inventory of 3/4″ galvanized timber bolts in lengths beginning at 8” all the way to 36”, increasing in 2” increments. In addition to stocking timber bolts, Portland Bolt’s 85,000 square foot manufacturing facility and hot-dip galvanizing line are well-equipped to produce nonstandard size timber bolts in diameters ranging from 1/2” through 1-1/2”. Are you in need of some galvanized timber bolts? Give Portland Bolt a call and one of our experienced estimators will be happy to assist you with your fastener needs!